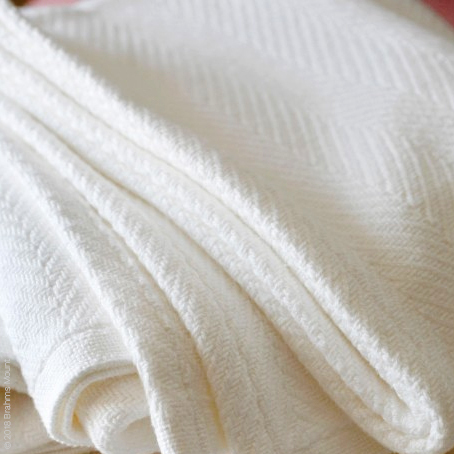 This is a lustrous and soft combed cotton blanket densely woven in Brahms Mount iconic herringbone pattern. Casually elegant with a timeless appeal, heirloom-quality Madison Cotton Blanket layers beautifully. This is a lustrous and soft combed cotton blanket densely woven in Brahms Mount iconic herringbone pattern. Casually elegant with a timeless appeal, heirloom-quality Madison Cotton Blanket layers beautifully. 100% U.S.A. cotton 2 colorways 4 sizes Double hand-turned hem Made in the U.S.A.